When Andrew polled the class about whether or not the majority smoked cigarettes, the results did not surprise me. Most of the class had stated that they did not smoke. It seems like smoking cigarettes has become rather passé for the millennial generation. It has lost popularity since the results of many observational studies over decades denounce tobacco products and enforce, through sometimes graphic evidence, the devastating impact they have on the human body. With this being said, it shocked me when I read a headline that the popularity of tobacco was picking up again with the younger generation. Why was this so? Tobacco flavors have an appeal to the younger generation. Young people see the flavors and immediately assume that this flavored tobacco is less harmful. Obviously, we know that this is an inaccurate assumption. With this being said, researchers at the University of North Carolina decided to see if these flavors actually had an appeal amongst the younger generation. The University reviewed forty past studies in the United States to see the opinions of people about non-menthol flavors. Li-Ling Huang, a study author, said that they were able to conclude that when young people were asked about tobacco flavors, the young people said that flavors have an appeal as they seem significantly less harmful than traditional tobacco. Being that these flavors are promoting the intake of tobacco, U.S. Food and Drug Administration decided to ban flavored tobacco cigarettes in 2009, although this did not include menthol-and-tobacco-flavored cigarettes. There still remains no ban on flavored cigarillos, cigars, hookahs or e-cigarettes in the United States. One of the flavored tobacco products that has yet to be banned is the hookah. For those unaware, a hookah is a water pipe with a smoke chamber. Being that a hookah lacks a filter, it is significantly worse than smoking cigarettes. In fact, according to the Health and Prevention Services at George Washington University, one smoking session of hookah is equivalent to approximately 40 to 400 cigarettes. Since hookahs contain the same toxic chemicals that are in cigarettes, they cause the same health issues of cigarettes but at a greater magnitude. Some of which include: cardiovascular disease, cancers, and birth issues. Therefore, hookah has a causal relationship with these health issues. I found it to be perplexing that people who choose to smoke hookah typically associate the hookah as being less dangerous than cigarettes. So why are hookahs more popular than cigarettes? To test this one could get a large group of millennials who already use tobacco products, all of which with similar health backgrounds. One group could be given flavored cigarettes, while the other group could use hookah. After each session the participants could be reviewed and questioned for one week to learn how they felt after each session and whether they were satisfied or not. At the conclusion of the study, all of the participants could then undergo a physical and be shown side-by-side analyses about the differences between the detrimental health effects of cigarettes and hookahs. The hypothesis of this study is that after reviewing just how bad a week’s worth of using these tobacco products, the participants will seek methods to quit. On the contrary the null hypothesis is that the participants will have no reaction to the negative health issues resulting from the study. Given that most human beings typically choose the options that will ultimately make them better off, it is likely that these participants will seek methods to quit this habits. Moreover, the hookah smokers will likely see just how bad the hookah actually is, especially in comparison to the already deadly cigarette. 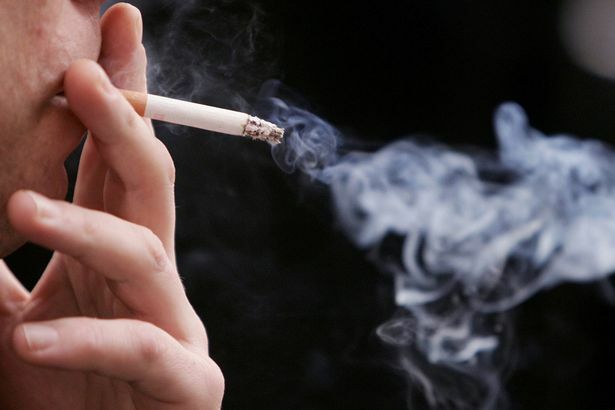 While Andrew’s poll does indeed bring to light that many millennials are no longer smoking traditional cigarettes, flavored tobacco products are making a deadly comeback. While it is appealing to have something flavored either cherry or cotton candy, one should evaluate the health risks and avoid it, for not only themselves but also the people they surround themselves with. This entry was posted in Uncategorized on November 28, 2016 by Mairead Donnard. Great post ! I think the facts are spot on here. I can honestly say, that when I was in high school it was definitely the norm for some of the older kids to go into NYC and go into the hookah bars. That being said, a lot of kids also had those hookah pens that were just as bad. I think the common misconception about hookah is people think its water vapor and that only. They are highly uneducated when it comes to this topic. Overall, I think this was a great post that made people who weren’t aware well aware now. I think there needs to be more common knowledge regarding this fad in the high schools and in the middle schools to spread awareness at this impressional age. Check out this article on hookah pens and if they provide you with a safe alternative. I did like this article because I can recognize your point. However, I feel that you could have gone into more detail in your post. How would you conduct your own study? What would the null and alternative hypotheses be? I think you posed a great statement and could make it into a question to test. Such as, why are hookahs more popular than cigarettes? Is it a fad?